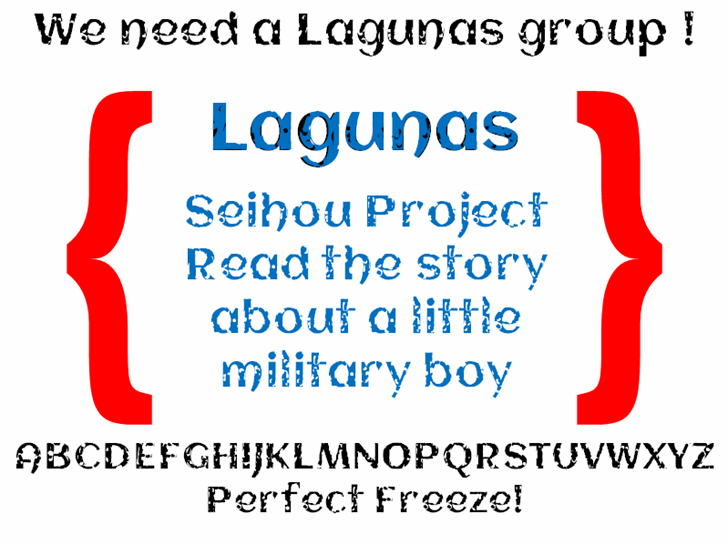 Lagunas is the latest font that uses the app called "Fonty". Drawing-based grunged-up styles made for this ugly thing. This was edited and modified with FontForge after font's generation. (c) 2018, by Heaven Castro. Seihou Project (c) Shunsatsu sare do?